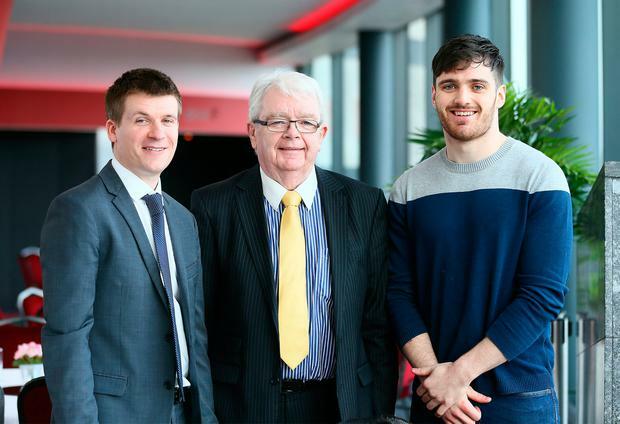 DCU journalism graduate Conor Molumby has been named as the recipient of the Veronica Guerin Memorial Scholarship. Veronica's brother Martin Guerin and her nephew Ian made the presentation to Mr Molumby during a special ceremony in DCU yesterday. The Veronica Guerin Memorial Scholarship was established by Independent News and Media in 2007 in memory of the investigative journalist, who was murdered on June 26, 1996. Veronica had served on the governing authority of the university since 1982. "It was an honour to be given a scholarship in her name. Her reputation is strong both inside Ireland and internationally and I have found it is recognised in London where I am now working too," Mr Molumby said. The Stillorgan native is now working with S&P Global Platts as a market reporter. He was one of 17 students presented with scholarship awards named in honour of 13 individuals who have played a key role in the life of the university and in society.